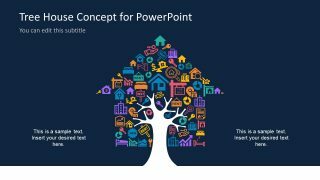 The amazing Tree House Concept Design PowerPoint Shapes is a gateway to presenting all the relevant topics. This includes, lifestyle, financing, mortgage, renting, contractors, architecture and much more. 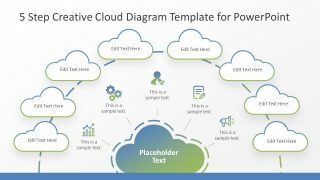 This is a 4 slide PowerPoint template of awesome infographic and impressive layouts. 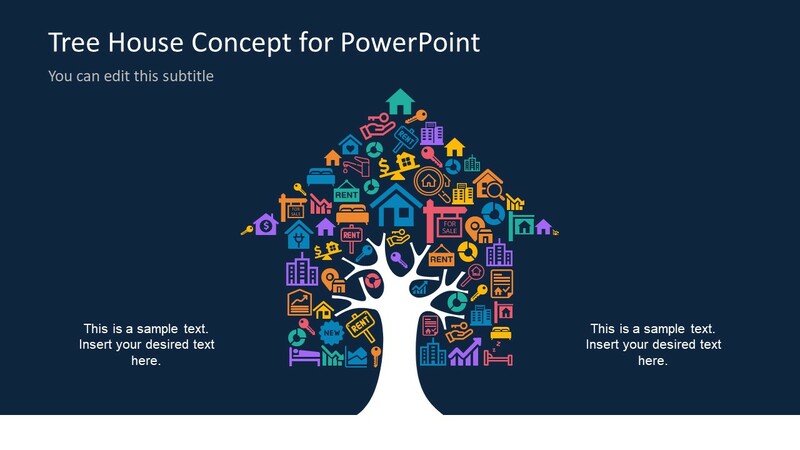 The presentation provides range of infographic icons as a collage depicting a house itself. Further, the tree shape holding this house collage illustrate a creative tree house. The users can demonstrate many real estate presentations either for the company or businesses. For example, discuss the investment opportunities, mortgage, loans or home owner’s insurance services. The real estate agencies can explain the housing projects for the sales and marketing for development area. 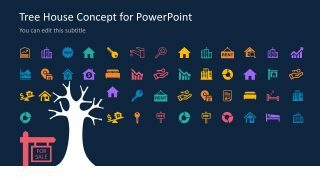 The Tree House Concept Design PowerPoint Shapes has the collection of multi-color meaningful infographics. 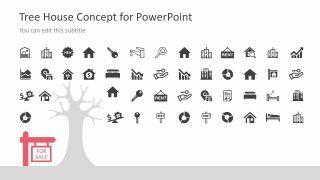 These relevant icons include, house silhouette, new and rent sign boards, increase and decrease in trend statistics. Further, the slide shows different designs for keys, beds, buildings, search, reports and analysis charts. The presentation of house concept design has two slides of tree house collage. Whereas, the other two contain organize version of icons in both colorful and plain color. 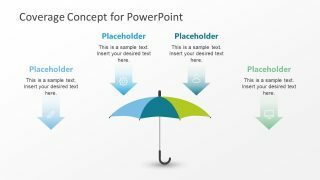 The similar slides have different backgrounds which suggest the editing options to customize backgrounds. For example, changing the color, adding gradient effects or insert an image in background. 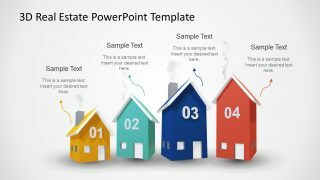 The tree house design PowerPoint is a unique real estate concept template to demonstrate unlimited ideas of the industry. 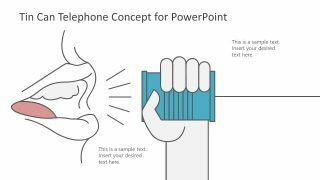 For instance, the architecture and lifestyle professionals can present guidelines or deliver important notes using the visually interactive illustrations. Also, it can present an interesting concept of neighborhood and society. Moreover, the realtors, investment and insurance agents can prepare the interesting property management presentations. Furthermore, the house maintenance businesses like contractors, plumbers, carpenters etc. can also use the given icons. 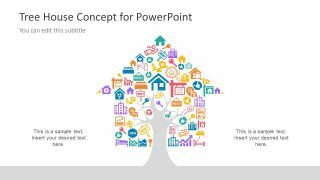 Such as the tap or plug icons in tree house design concept PowerPoint of infographics.